The study of art and the history of art are closely intertwined in the work of Gregory Frank Harris, reflecting his exploration of technique and art history as well as the expression of his personal interests and values. For Harris, the processes of making art have been a lifelong fascination, from his childhood interest in sculpture and drawing to his ongoing investigation of old master technical innovations. Born in southern California, Harris and his twin brother grew up in a family that embraced the visual arts as well as theatre and music. During his stint at California State University in Long Beach, he studied both art and theatre, but also began writing music, which then became his primary focus. Over the next decade, Harris and his brother played piano and drums respectively in a variety of bands, earning their living in the nightclubs and hotels up and down the west coast. The first sign of a new direction appeared while the band was on the road in Spokane, Washington where Harris rekindled his interest in painting. Like generations of artists before him, Harris turned to the old masters and the impressionist painters as sources for his study of painting. Copying their work allowed him to investigate, and eventually understand, the techniques that they used, and to begin to develop his personal voice as an artist. Unlike most young painters, however, Harris was fortunate to have two of his old master copies, Rembrandt’s Woman with Pink and Gainsborough’s Blue Boy, selected as props for the 1982 film version of the musical Annie, directed by John Huston. Perhaps as an indication that he was increasingly serious about his painting, Harris also began exhibiting at juried shows in 1982 and marketing his work nationally. Juried exhibitions--and awards--followed, including an unprecedented first, second and third place award in the popular vote at the historic Lyme Art Association in 2001. During these years, Harris concentrated his study of art historical models on nineteenth-century naturalist painters such as P.-A.-J Dagnan-Bouveret (1852-1929) and Léon Lhermitte (1844-1925) and impressionists like Claude Monet (1840-1926). As he notes, “Impressionist techniques seemed magical” when he first began investigating it. Capturing the effect of light on a particular place at a particular moment is at the heart of plein air painting as defined by the impressionists; for Harris, this quest has continued to offer myriad explorations as his work has evolved over the years. By the mid–1980s, Harris decided to leave California to study at the Art Students League in New York City, and he subsequently settled in Duxbury, Massachusetts in the 1990s. There, he continued his plein air painting, working with Wendy Martin who served not only as his model but also created the nineteenth century costumes seen in the images. 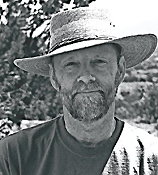 A workshop at the Fechin Institute in Taos, New Mexico, however, lured him back to the southwest in 1996, and he spent the next four years living in Santa Fe. By 2000, however, he returned to New England, this time to Lyme, Connecticut where he taught private students as well as classes at the Lyme Art Association. During these years, Harris was also affiliated with the Putney Painters, a loosely organized group of representational artists centered around Richard Schmid and Nancy Guzik based near Putney, Vermont. Typically, a group of painters would arrive at the large studio barn every other weekend to spend their time working in the company of other artists and receiving casual mentorship from Schmid and Guzik. In 2003, Harris returned again to Santa Fe where he is surrounded by a landscape that offers abundant sites for exploring new dimensions in painting, and a city that is home to a thriving and diverse arts community. As he explains it, the decision to investigate a variety of techniques in landscape painting has only solidified the connections between his figural works and more abstract images. The “mystery of what paint can do” continues to be a central study for Harris, linking old masters, impressionists, and naturalists with his own imagery. 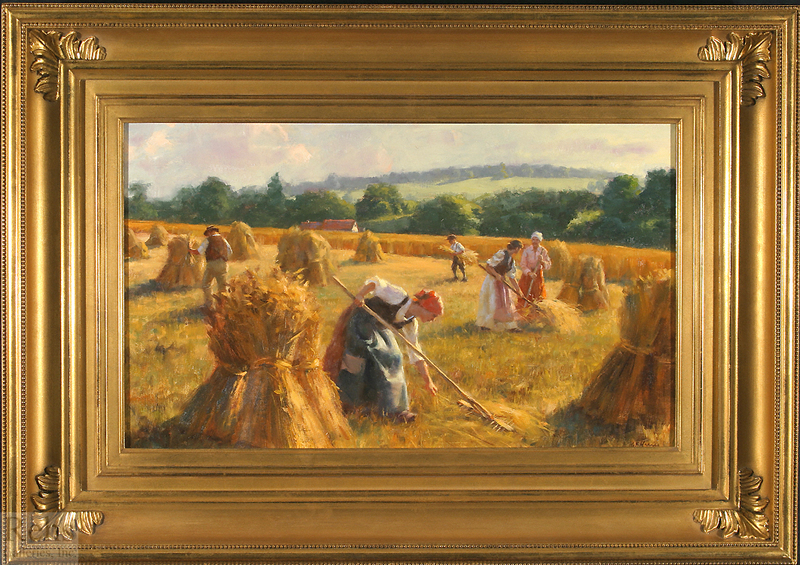 The alla prima application of paint used by artists such as Diego Velázsquez (1599-1660) and John Singer Sargent (1856-1925) thus emerge in Harris’s work in a fresh form, as does the richly textured impasto technique of Monet. At the core of much of Harris’s work is a sustained dialogue between plein air painting and creating works in the studio. Although the concept of painting directly on site--in front of the motif--has its roots in the late eighteenth century, it was not until the late nineteenth century that this approach was accepted as a serious methodology for creating finished paintings rather than simply sketches. 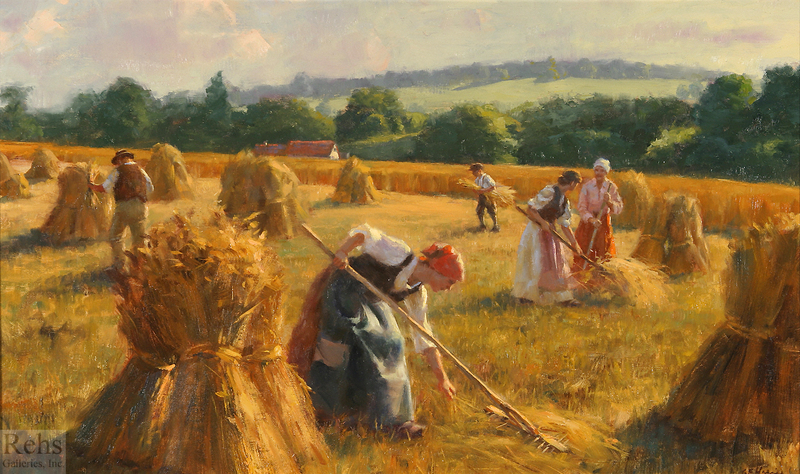 Harris offers a contemporary perspective on this duality, noting that plein air painting pushes him to develop his figural images more thoroughly in the studio. In his naturalist images, where he works with both models and photographs, he comments that it has become “very challenging to see how much better” his figural paintings have become as he has explored the landscape subjects around Santa Fe. In short, Harris’s curiosity about historical techniques combined with his study of the texture of paint and the elusive challenge of capturing light on canvas have all informed his growth as an artist.